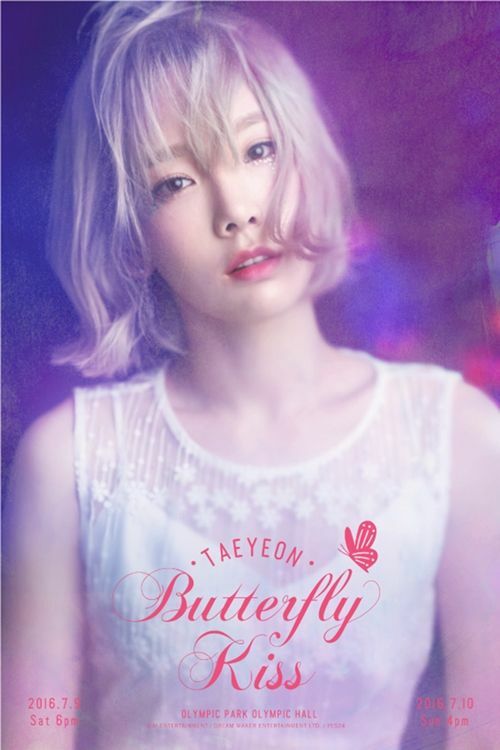 [by Woorim Ahn] Taeyeon of Girls’ Generation will hold her first solo concert. She will meet her fans through her solo concert entitled ‘TAEYEON, Butterfly Kiss’ at Olympic Hall of Olympic Park in Seoul and KBS Hall in Busan on July 9-10 and on August 6-7, respectively. In particular, just like the event’s title, she will show off her singing abilities and charming performances through the event, so fans are raising their anticipations for the event. Previously, she made an all-kill with her first solo album ‘I’ in October 2015 and proved her ability as a solo artist. Moreover, her song ‘Rain’ also topped on music charts and confirmed her fame as SM music queen.